Greater Accuracy… Higher Match Rates… it’s that simple! BCI Address Retrieval Service is a complete, fully integrated search/match process that consistently and efficiently locates lost alumni, donors, and other missing constituents. It’s the ideal foundation to begin rebuilding your database with new contact information. 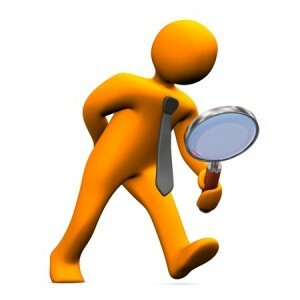 Fundamentally, our most complete search requires a minimum of individuals full name and home address. Alternative data such as date of birth, full or partial SSN, phone numbers, and email addresses may also enhance the matching process, but generally not needed. Once the best match is found, the new address is appended to your file along with the individuals full name. Variations in the appended name occur at times due to changes in marital status, nicknames, foreign names, aka’s, etc. In addition, all updated records found are routinely cross-referenced against multiple sources to enhance data integrity. This will significantly improve your ability to improve contact rates and open up new potential funding sources for your institution. The breadth of our repositories indicated below ensures every conceivable source is utilized. And while it’s true the best search engines are only as good as the data that feeds them, our proprietary algorithms enable us to locate new addresses where other attempts have failed.